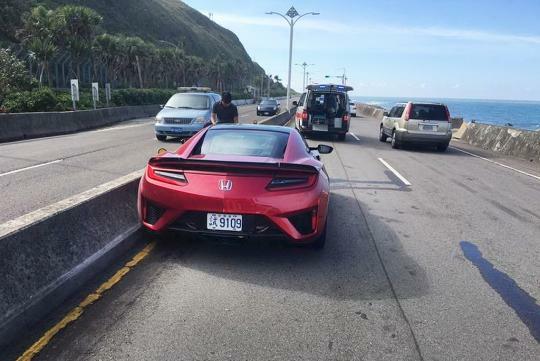 A journalist in Taiwan is said to have crashed one of the nine Honda NSX allocated for the country during a test drive for a local magazine. The 27-year old driver lost control of the sports car along a highway near New Taipei City. 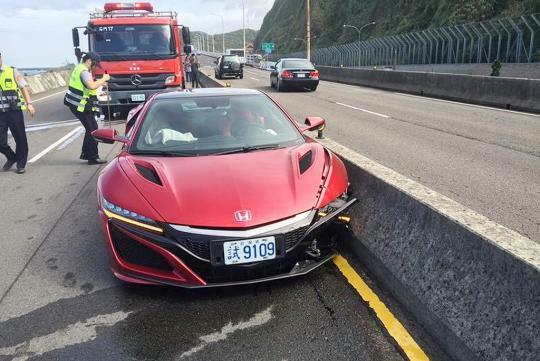 Believed to be one of the first few recorded crashes for the NSX, the driver told the police he was driving with his window open when a bee suddenly flew into the car. It then stung him on the neck causing him to crash into the barrier. According to Chinatimes, the police put him on the alcohol breathalyzer but he came out clean. Fortunately, no one was hurt in accident. Sigh... To Bee or Not To Bee, that is the question. One shouldn't be too stingy on the air con, now hive to pay for his mistake. 27 doesn't mean can't drive lor.. There are many 27ers who can drive better than 40s uncles lor..